Cupcake Creations Celebrations are a great way to celebrate that special birthday or occasion. If you are looking for a unique, fun and interactive party event, Cupcake Creations Celebrations is the answer! 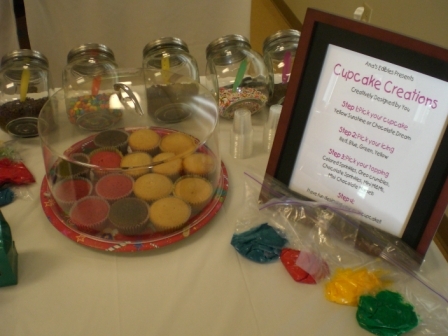 With Cupcake Creations Celebrations, we set-up a Cupcake Creations station at your event/location. You arrange for the location, and we do the rest. We set-up and clean-up the Creations station so you have a hassle-free experience! 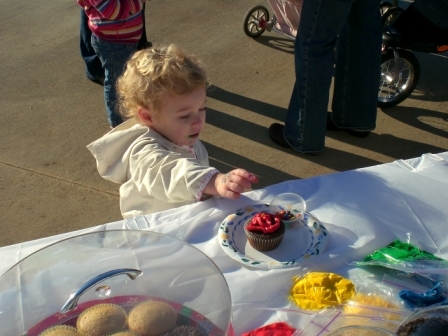 We provide a Creations station where "naked" Mommy Cakes will be provided along with colored icings and candy toppings. We help the guests make their own cupcake creation! Each guest gets the opportunity to ice and decorate their own cupcake creation. Your guests can either eat it at the party, or an individual box will be provided for them to take it home. In addition to the Mommy Cakes, a Family Cake will be provided for everyone to decorate together and enjoy at the party. This way, everyone can have their cake and eat it too! 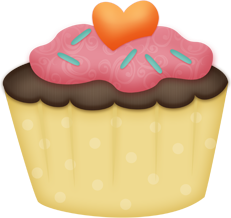 Cupcake Creations Celebrations are great at the comfort of your own home. We can easily set-up in a backyard, garage, or dining room. You can always add on additional Ana's Edibles favorites for your adult guests that are there to enjoy the celebration. Book your Cupcake Creations Celebration today! * 1 Mommy Cake for each guest: they can decorate this and take it home as their party favor! * Cupcake themed plates, invitations and cellophane favor bags are available at no extra charge! !